Working with another firm, Tony Daniels led the effort to transform Grassy Sprain Reservoir from a dying, eutrophying lake to a recreational asset for the City of Yonkers. 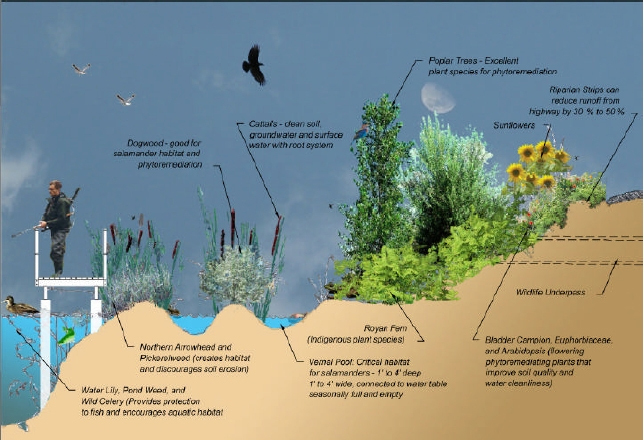 The design pioneered the use of soft edges and water restoration technologies (living machines) to restore habitat and improve water quality in the lake. A shoreline walkway was designed to provide opportunities for fishing and other lakeside recreational uses.